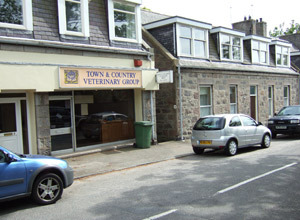 The surgery at Rubislaw Park Road is where the Town & Country Veterinary Group started in 1987. Originally this branch carried out all its surgery, xrays etc. on site, but eventually outgrew the space available and now concentrates on consulting three times daily. Our practice ambulance is available to transport your pet to and from Rubislaw to Kingswells for surgery, if required. A small fee is charged to cover the cost of running this service, please ask at receptionist for more details. Veterinary surgeon Teresa Pinto is in charge at Rubislaw, assisted by four part-time receptionists. The reception area also stocks a variety of pet foods and products. If you don't see it on our shelves we can usually order it in for you the following day. Meet the team.